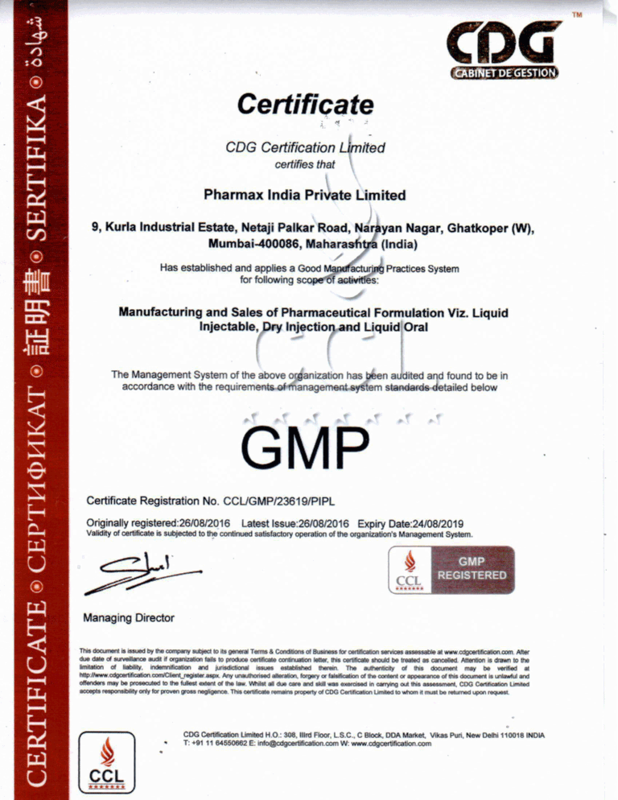 PHARMAX INDIA PRIVATE LIMITED is a WHO-GMP Certified company. 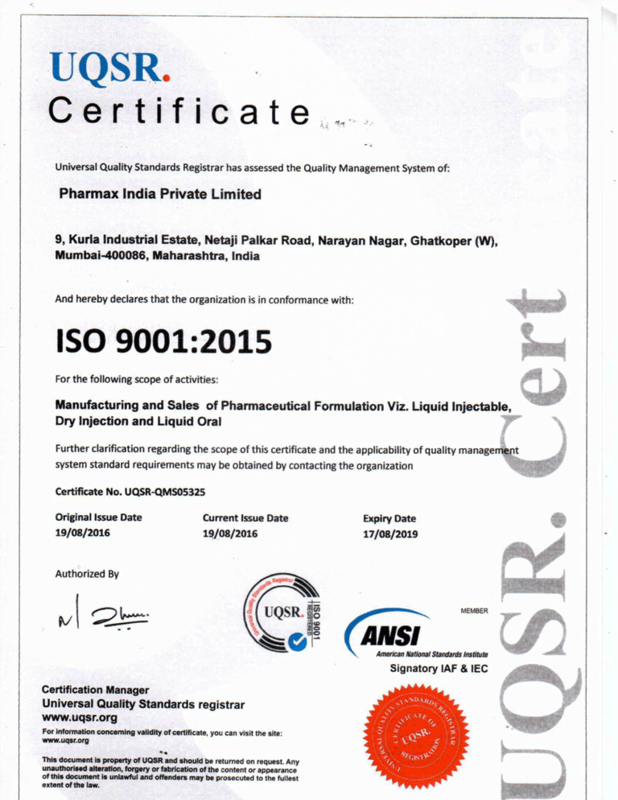 It is an ISO 9001:2015 CERTIFIED Company. 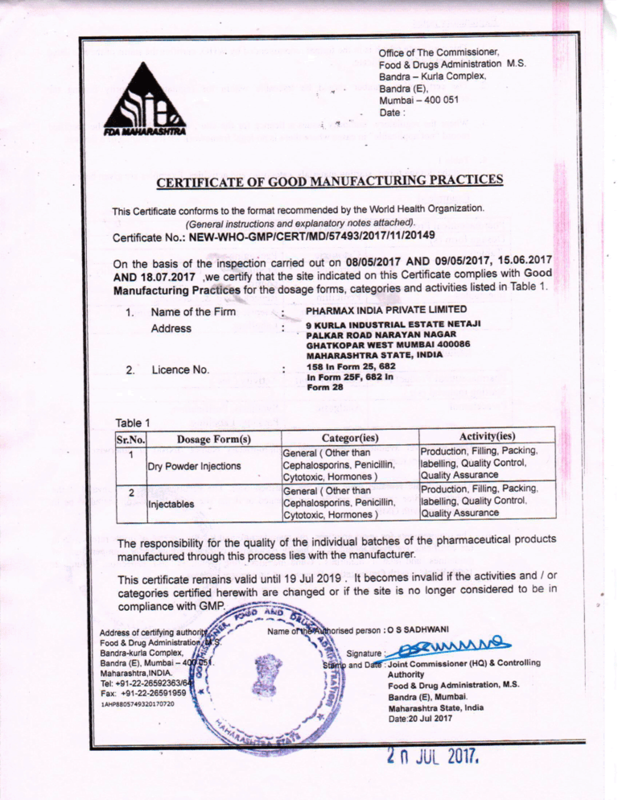 Pharmax India Private Limited is a Pharmaceutical Company headed by a team of well-experienced business executives. The company has been in the generic market for a long period (more than 57 years). Now the company has decided to introduce branded products with old and new molecules and to promote them in a unique manner in all India. 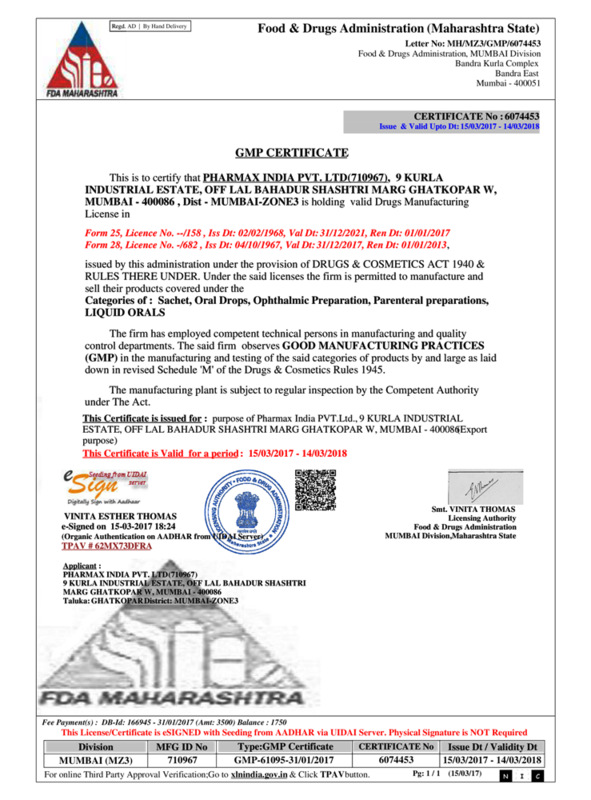 Pharmax India Private Limited 9, Kurla Industrial Estate, Netaji Palkar Road, Ghatkopar (West), Mumbai - 400 086. India.